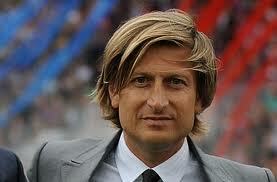 Crystal Palace co-owner Steve Parish has made an 11th hour offer to bring Premiership rugby to Selhurst Park. The Eagles chairman has contacted senior figures at London Welsh to offer help and support to the 2011-2012 RFU Championship winners, as they seek to overturn a governing body’s decision that could deny them the promotion to the top-flight that they have earned. London Welsh this week defeated Cornish Pirates in a play-off final. Yet just hours before the first leg of that showdown, the Exiles were told by the Rugby Football Union that their plans to play their Premiership home matches at Oxford United’s Kassam Stadium were unacceptable. London Welsh, whose home for a century has been Old Deer Park at Richmond, has one of richest and proudest histories in British rugby. In the 1970s, the club provided as many as eight players for the Wales national side and the famous British Lions touring teams which won tours and Test matches in South Africa and New Zealand, with players such as JPR Williams, John Dawes and John Taylor. Taylor is now managing director at London Welsh, working on an urgent legal challenge against the RFU’s decision. With other Premiership clubs such as London Wasps (Wycombe), Saracens (Watford) and London Irish (Reading) all playing their home games at football clubs, London Welsh believes that the RFU’s decision is really an attempt to operate a “closed shop” for England’s top 12 clubs. RFU Championship winners London Welsh celebrate on Wednesday night: but will they be allowed to be promoted to the top flight? Taylor said, “You cannot have a situation where the movement between the Premiership Rugby and the Championship is suddenly prohibited, it just doesn’t work on any level. London Welsh is contracted to play its home games at the Kassam next season, an expensive exercise if they are held back in the Championship, rather than able to attract the 6,000 or so gates expected for the bigger Premiership matches. Having a back-up or alternative venue such as Selhurst Park as they mount their legal challenge could be important. And Palace owner Steve Parish thinks that bringing top-flight rugby to south London would be a coup for Selhurst Park. Inside Croydon understands that Parish has been in contact with senior London Welsh officials to discuss a possible link-up and any help that Palace might be able to offer. With Harlequins the only London rugby club to play its home matches in the capital, London Welsh has the potential to attract a big audience to their home games if the Dragons shared a nest with the Eagles at Selhurst Park, which has a strong rugby catchment area that includes many large junior clubs and rugby-playing schools. Regular top-flight rugby matches could also bring extra business to Croydon, though the games would be unlikely to require similar levels of policing to football. This entry was posted in Activities, Crystal Palace FC, Rugby Union, Sport and tagged England, Kassam Stadium, London, Richmond, Rugby Football Union, Selhurst Park. Bookmark the permalink.